Easy-kid-care is looking for qualified, motivated and cheerful members of staff. A well-balanced, dedicated and harmonized team is important for us. At easy-kid-care you have the chance to bring ideas and visions into the team and to also give your own development new impulses. Your commitment to childcare helps children to playfully develop and grow up. Apart from working with the future every day, easy-kid-care offers you much more: with an internship, your social dedication pays off. Our goal is to build your personal future together with us after the internship. Therefore, we offer the best interns the possibility to start the vocational training as nursery nurse with easy-kid-care after the internship has been completed. – Previous experience in childcare is ideal, but not mandatory. – Acting responsible, reliable and very kind is expected. – Creativity and ideas how to positively influence a child’s day at easy-kid-care. – Team work, openness, willingness to cooperate, empathy. – Resilience, calmness, stress resistance. – We expect pedagogic aptitude and an affectionate way of caring for the children entrusted to you. – You support the team. – We are looking for a motivated young person who loves to work with children. As employer of choice we offer a great team, supervision and support, training and further education as well as good working conditions. An atmosphere full of respect, appreciation and team spirit! Through distance learning via the UK you can be fully qualified within two years and able to work as an Early Years Educator/Fachfrau/ -mann Betreuung Kind. With a forward-looking personnel policy and attractive conditions of employment easy-kid-care makes sure that employees feel comfortable. 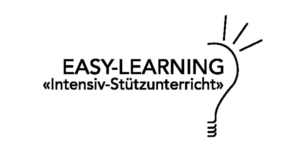 Easy-kid-care sucht qualifizierte, motivierte und aufgestellte Mitarbeiter. Ein gut abgestimmtes, engagiertes und harmonisches Team ist uns wichtig.